Austin, TX: Western Publications, Inc., 1970. BRAND NEW Copy. Periodical. Reprint of out-of-print historical & genealogical documents first published in Texas from Oct, 1923 to Dec, 1954 under the title, J. Marvin Hunter's FRONTIER TIMES MAGAZINE, and articles published in TRUE WEST and OLD WEST, when early Texas settlers, pioneers, cattlemen, and observers of the events of Texas history were able to recount life experiences in person. 96 pgs. This issue carries 25 essays covering famous tales of the gold rush, buried treasures, and lost mines. Lead article: I Found a Lost Mine by Milton F. Rose.. First Edition. Soft Cover/Stapled. NEW/None as Issued. Vintage/Local History. London, UK: Constable & Co, Ltd, 1932. Text/Near New; showing sporadic light brown spotting (acidic paper reaction), as well as to upper/lower text blocks. Illustrated black boards/NF w/light rubs to leading edges. DJ/None. Illustrated endpapers. Novella. Written in 1932 while visiting South Africa by Irish playwright and 1925 Nobel winner Bernard Shaw (1856 - 1950) w/engravings of John Farleigh (1900 - 1965). 75 pgs. Story of an intelligent black girl, converted to Christianity by insubstantial missionary teachings, sets out, literarly, in search of God. Her journey, many adventures and encounters, ultimately leads her to a secular conclusion. Given the 1930s, the story, fortified by complementary illustrations (found risque by some), so offended conservative Christians that the book was banned in Ireland by the Board of Censors. . First Edition, 2nd Impression. Hard Cover. Very Good/No Jacket. Illus. by John Farleigh (Illustrator). Vintage/Fiction. San Francisco, CA: Sierra Club/Ballantine Books, 1968. Text/BRAND NEW & Bright. Illustrated soft cover/NF; strong & sound w/light shelfwear. Map to rear. Record of first American ascent of Mt. Everest, 1963. Led by Swiss born explorer, film-maker, and veteran mountaineer Norman G. Dyhrenfurth. Scientific research expedition sponsored by Nat'l Geographic, The team was the most academically brilliant ... 5 members with doctorates and 8 holding masters degrees. May 22nd, 1963. Luther G. Jerstad and Barry Bishop reach the summit of the South East Ridge, and Will Usoeld and Tom Hornbein the West Ridge/Northface. This is the account of scaling the latter. The text by physician Hornbein; photos by Dyhrenfurth. The team was honored at the White House by President Kennedy and awarded the Nat'l Georgraphic Society's Hubbard Metal.. Abridged Version, First Thus. Soft Cover. Collectible - Fine/None as Issued. Illus. by Norman G. Dyhrenfurth (Photographer). First Edition, First Thus. Chicago, IL: Lakeside Press/R.R. Donnelley, 1996. BRAND NEW COPY. Gilt embossed black linen boards/Fine. DJ/None as Issued. Upper text block in gilt. Lakeside Classics series Vol. 94. Literary account of explorer, physician and naval officer Dr Elishsa Kent Kane (1820 - 1857), leader of The Second Grinnell Expedition of 1853, the American effort to determine the fate of Sir John Franklin's (1786 - 1847) expedition. The team explored northwest of Greenland (now known as Grinnell Land). Though unable to find clues to Franklin, the expedition did set a new record in northward penetration, and discovered the long-sought-for open Polar Sea. 447 pgs. 31 chapters of graphic records of discoveries including flora, fauna, native peoples and meteroroligcal events, agumented by illustrations.. First Edition, First Thus. Hard Cover. NEW - COLLECTIBLE/None as Issued. Norman, OK: Univ of Oklahoma Press, 1963. Text/BRAND NEW & Bright. Brick red linen boards/NF w/trace rubs to upper spine edge. DJ/NF w/small loss to lower spine, now under mylar. Label remove scars to both front & rear covers verso. History of western America. Detailed account of the history of southwestern half of Wyoming, the southeastern corner Idaho, southeastern Oregon, southern California, and almost all of Nevada. Here the Spanish paved overland routes to connect their Arizona and New Mexico settlements with California in the age of fur hunting. The Great Basin area was opened by white men in 1776 by Fremont's 2nd Expedition. 254 pgs,, 10 chapters w/archival maps.. First Edition. Hard Cover. NEAR FINE/Near Fine. First Edition. Stanford, CA: Stanford Univ Press, 1974. Text/BRAND NEW & Bright. Blue linen boards w/gilt lettering to spine/Fine. DJ/None. Light brown spotting (acidic paper reaction) to text blocks & a few pages. Frontispiece: Oil painting of explorer & cartographer Captain James Cook (1728 - 1779). Fold-out map (New)) of Cook's noted 3 historic voyages to the Pacific Ocean to rear. Classic review of Cook's three journals of exploration by noted New Zealand historian John Cawte Beaglehole (1901 - 1971). 760 pgs in 27 chapters w/illustrations. . First Edition, First Thus. Hard Cover. Very Good/No Jacket. New York, NY: Dover Publications, 1961. Text/NEW & Bright. Illustrated softcover/NF w/trace edge wear. Frontispiece: Archival portrait of Powell. PO label to fEP. Major John Wesley Powell (1834 - 1902), a U.S. soldier, geologist, explorer of the American Wes who taught at Illinois Wesleyan Univ. Record of the 1869 Powell Geographic Expedition, a 3-month river trip down the Green and Colorado rivers, which marked the 1st U.S. government-sponsored passage through the Grand Canyon. 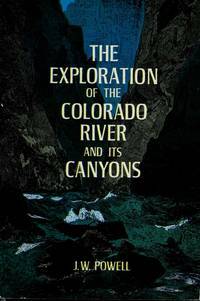 First published 1895, this is the Dover unabridged and unaltered republication first issued in 1961, and, includes the full text of the 1870 expedition along the Uinta. 400 pgs w/archival illustrations in 15 chapters... Dover Reprint. Soft Cover. Very Good/None as Issued. New Haven, CT: Yale Univ Press, 2003. BRAND NEW Copy, First Edition, First Printing. British explorer & catographer Captain James Cook (1728 - 1779) is noted for his 3 historic voyages to the Pacific Ocean which marked first European contact, and has been well documented. This work considers more life below decks in contrast with a discovery of aPacfic paradisel. Anthropological approach to the times, when introduction of European livestock was a prime objectives of the third voyage. Book relates an event, on the 3rd and last voyage, the fate of a captured, wild roaming New Zealand dog. Having bitten humans, the dog was deemed cannibalistic, and therefore "rightfully" doomed to death. Summarily dressed, cooked and eatened in turn in. Albeit it a time when fresh provisions were short, a record of modern savagery. 506 pgs in 17 chapters, documenting other events of all three voyages as West meets East. . First Edition, First Printing. Hard Cover. NEW - COLLECTIBLE/New. First Edition, First Printing. New York, NY: Atlantic Monthly Press, 1996. Text/BRAND NEW & Bright. Red linen boards w/silver spine lettering/Fine. DJ/Fine. PO name to title page. Anthology of American automobile writing published on the 100th year of the American car industry. Collection of 32 eclectic works from fiction, journalism, and poetry. 258 pgs. 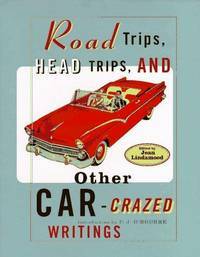 Car adventures include those of Ernest Hemingway, John Steinbeck's travels with his French poodle, Charlie, and ther literate and humorous car enthusiasts such as Jack Kerouac, Peter Egan, Jim Harrison, Calvin Trillin, Joyce Carol Oates, Dave Barry, and P.J. O'Rourke.. First Edition, First Printing. Hard Cover. NEAR FINE/Fine. First Edition, First Printing. New York, NY: Bantam Books, 1971. Text/BRAND NEW w/margin discoloration. Softcover/NF. Trace discoloration to leading text edge. An extraordinary 1969 novel written in the format of a travelogue. Story of the travels of Henry Pulling, an early retired bank manager with his eccentric 75 year-old Aunt Augusta. As they wind a path across Europe on the Orient Express. They travel far, far afield. Henry discovers the woman he had been raised to believe was his mother was in fact his aunt. His real mother is actually Aunt Augusta. Tagged as "A new a new and different novel", it truly is.. First Edition, First Thus. Paperback. NEAR FINE/None as Issued. First Editon, First Thus. New York, NY: Simon & Schuster, 2013. BRAND NEW & Collectible. First Edition, First Printing. Juvenile. Science fiction. Sequel to "The Forsaken" . Condemed to Prison Island Alpha by the totalitarian regime United Northern Alliance (UNA), death at the "wheel" seemed tcertain for Alenna --- but she survives and escapes with boyfriend Liam to join a rebel group to bring down the UNA. formed from the once United States, Mexico, and Canada. To succeed. they must first gain control of the wheel. If the mission succeeds, the wheel will become a base of revolution. 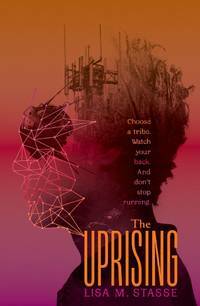 But between betrayals, a new Monk leading a more organized army of Drones, and other contingents, Alenna, Liam, and their allies might be in over their heads. . First Edition, First Printing. Hard Cover. NEW - COLLECTIBLE/New. First Edition, First Printing. Salt Lake City, UT: Peregrine Smith/Gibbs Smith, 1991. Text/BRAND NEW. Illustrated soft cover/NF w/a whisper of edge wear. First published 1915; this a reproduction of the original edition w/a new introduction by Richard F. Fleck. 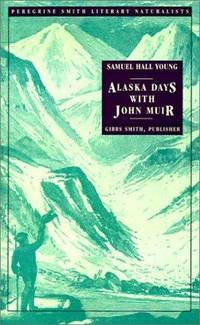 Memoir of Samual Hall Young (1847 - 1927) exploring Alaskan wilderness with his good friend John Muir (1838 - 1914). Book written a year after Muir's death, describes two journeys (1879, and 1880) they took together. An excellent companion volume to Muir's own memoirs of Travels in Alaska (1916).. First Edition, First Printing. Soft Cover. Collectible - Near Fine/None as Issued. New York, NY: HarperSanFrancisco/Harper Collins, 2001. BRAND NEW Copy/UNCORRECTED PROOF. 1996 was a singularly deadly year in Everest history; fifteen mountaineers meet their deaths during the year's climbing season. Memoir of Sherpa mountaineer Jamling Tenzing Norgay (1965 -), son of Tenzing Norgay (1914 - 1986) who, with Sir Edmund Hillary, was first two to scale summit of Mt Everest in 1953. This narrative, with Broughton Coburn (coauthor of Everest: Mountain Without Mercy) chronicles Norgay's 1996 experience as the climbing leader for the North Ridge IMAX film expedition on Mount Everest, reaching the summit just just two weeks after tradgedy struck the South Ridge party (chronicled Jon Krakauer's Into Thin Air). A personal memoir, a unique adventure couched in the history, politics, triumphs, and tragedies of climbing the world's tallest mountain, and a tribute to his legendary father.. Uncorrected Proof. Soft Cover. Collectible - New/None as Issued. Advanced Uncorrected Proof. New York, NY: Greystone Press, 1950. Text/As New, with a whisper of margin discoloration. Mustard linen boards/VG; strong & sound, light soiling & showing faint discoloration. DJ/None. Map to endpapers. PO stamp to fEP. Film and television producer Thomas Lowell, Jr. (1923 -) and his father, the accomplished writer, broadcaster and traveller Thomas Lowell, Sr. (1892 - 1981) were invited the Tibetan government to make a film there in 1949 (year marking Communist victory over China Mailand) in the hopes their report would help propell U.S. intervention of Chinese take over. The trip lasted 400 days; the resultant film, Expedition to Lhasa, Tibet was not aired until much later by CBS. This book is the story of the expedition; an extraordinary trip, often by foot; and, a portrait Tibet past. The Dalai Lama bestowed the International Campaign for Tibet's Light of Truth Award on Lowell Jr. in 2005. Illustrated with b/w and color photos. Strong copy despite flaws.. Greystone Edition, First Thus. Hard Cover. Very Good/No Jacket. Portland, OR: Binfords & Mort, 1958. Text/BRAND NEW. Soft cover/NF w/trace edge rubs. Biography of Quebec born Dr. John McLoughlin (1784 -1857); offical title of the "Father of Oregon" was bestowed on the centennial of his death. Trained in medicine, he became physician to the fur trading North West Company to which he became a partner; the firm merged into the Hudson's Bay Company in 1821. A powerful and colorful political figure, McLoughlin is acredited with introducing agriculture to the new region and thereby changing the area's way of life. With this biography, Journalist Robert C. Johnson ( - 1938) records Oregon's transition from fur trade to settlement, from British control to Amerian territorial status, and accompanying social upheavals along the way.. Reprint. Soft Cover. Near Fine/None as Issued. London, UK: Bantam Press, 1999. BRAND NEW Copy. Adventure and travelogue through the unlimited horizons of the Andes of two men whose friendship was formed over four years as cell-mates as Jihad terrorist hostages in Beirut, Lebanon. Irish writer and teacher at the American University Brian Keenan (1951-) was kidnapped in April of 1986; British journalist Englishman John Patrick McCarthy (1956 -) investigates the abduction, and a week later, is likewise taken hostage. So it was the two men became bosom buddies, the experience of which forms the prelude to this remarkable, contemplative yet humorous, narrative of time spent together once more, this time voluntarily, to breathe in the vast expanse of the High Andes together. Keenan separately chronicled the years in captivity in An Evil Cradling which revolves much around the great friendship he knew with McCarthy.. First Edition, 3rd Printing. Hard Cover. New/New. New York, NY: William Morrow, 1998. Text/BRAND NEW. Illustrated soft cover/NF w/trace wear to edges. 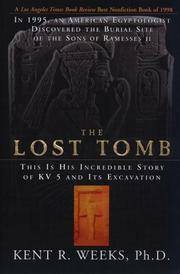 Lengthy, but highly descriptive, sub-title reads: "In 1995, an American Egyptologist Discovered the Burial Site of the Sons of Ramesses II ... this is His Incredible Story of KV 5 and Its Excavation." An amazing story augmented with photographs and sketches, and background information. Ramses II, third Egyptian pharaoh of the 19th dynasty, reigned 1279 BCE to 1213 BCE, and sired 50 sons.. First Edition, First Pinting. Soft Cover. Near Fine/None as Issued. First Edition, First Printing. Boston, MA: Little Brown & Co, 1958. Text/NEW. Bi-color boards/Fine. DJ/NF w/trace edge wear. PO name & date (1958) to fEP. Last of a series of 12 books on the fictional Royal Navy officer Horatio Hornblower written by C. S. Forester (1899 - 1966) who also gave us The African Queen (1935) and adapted to film (1951). Whereas the previous Hornblower adventures take place during the wars with revolutionary and Napoleonic France, this one takes place when Britain is at peace in the 1820s. Hornblower, now promoted to rear-admiral, is in command of the West Indies station (i.e., the Caribbean) with a squadron of 3 frigates and some 14 brigs & schooners. Tale awash with colorful characters and breathtaking adventures. Fine copy.. Book Club Edtion, First Thus. Hard Cover. Very Good/Near Fine. New York, NY: Touchstone/Simon & Schuster, 1997. Text/BRAND NEW. Softcover/NF w/faint creasing to lower front corner & echoes to text, from faulty handling. 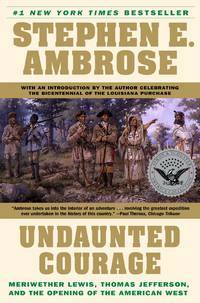 Historical novel recapturing Lewis and Clark's 1803 historical crossing of the American continent spurred by the vision of President Thomas Jefferson. Based on primary sources penned by the explorers (mainly, Clark) which includes much scientific data on flora and fauna, and further strengthened by the author's personal re-tracing of their steps. 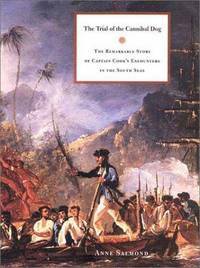 Outstanding recreation of the 1804 - 1806 expedition as well as a biography Merriweather Lewis (1774 - 1809).. First Edition, 18th Printing. Soft Cover. NEAR FINE/None as Issued. Fort Worth, TX: Holt, Rinehart & Winston, 1980. Text/Strong w/inked underlining to pages 145 -173. Softcover/Good w/ light edge & surface wear. Notes to rear endpaper. The Adventures of Huckleberry Finn by Samuel Langhorne Clemens (1835 - 1910), better known by pen name Mark Twain was first published in UK 1884, and in the US the year following. This beloved novel is narrated in regional vernacular Huck, friend of Tom Sawyer who was the narrator in two earlier Twain novels. Huck, but 13 years old, hails from Missouri on the banks of the Mississippi. Son of an abusive town-drunk, he is taken in by a certain Miss. Watson, and escapes that setting with his pal Jim, Miss Watson's African-American slave. An odyssey; a boy's book --- in which God is largely benign but also powerful and indifferent, the Mississippi is devine with hospitaltity to those who to bend with it but neither ethical nor good; of well meaning adult encountered, many are devoted to "civilizing" with Christian zeal; and, Huck & Jim on the raft do form a community beset periodically by pride. 274 pgs in 42 episodes.. Reprint. Soft Cover. Good/None as Issued.